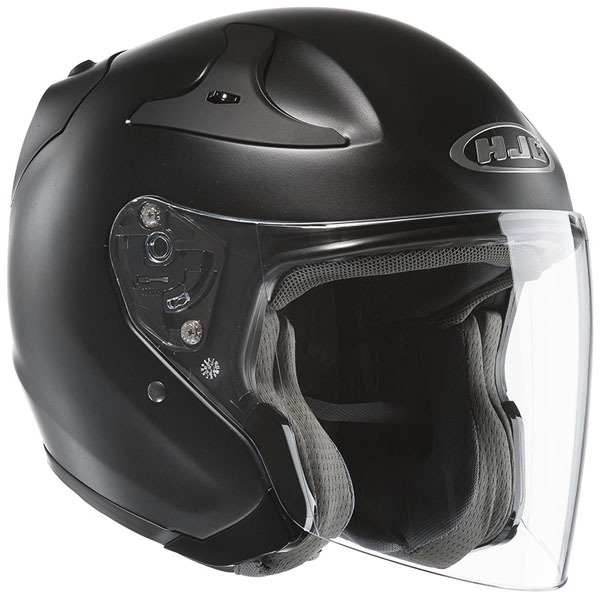 A very light, stylish well made crash helmet which fits beautifully once it is on. However the cheek guards are very difficult to slide over ones ears and the fastener is a double D ring. Much less easy to fasten that my other HJC helmet which uses a ratchet lock. The visor is excellent, crystal clear and totally draught proof.